A family tradition that I’m still doing featuring Ball products. 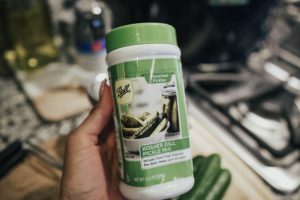 As a lifestyle blogger, something I normally don’t do every day is can some pickles, but when the Ball(R) Brand reached out to me to try out their preserving pot, I could not have been more excited! This post is sponsored by Ball® Fresh Preserving Products by Newell Brands; however, all thoughts and opinions are my own. When I was growing up, I used to can vegetables with my Grandma all of the time. My grandparents would purchase their vegetables from local farmers and can them themselves to save money at the grocery store. From sauces, jams and pickles, my Grandma did it all! I loved canning vegetables with my Grandma, but my favorite was canning pickles. So, I decided the first thing I would do when I received my pot from Ball was to can some pickles! 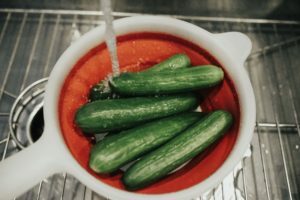 Luckily, I have mini cucumbers in my garden, so I used those for my pickles, but you can use any size cucumber. The preserving pot comes with a “Ball(R) Blue Book” which includes recipes. I followed the “Kosher-Style pickles” recipe to make mine. 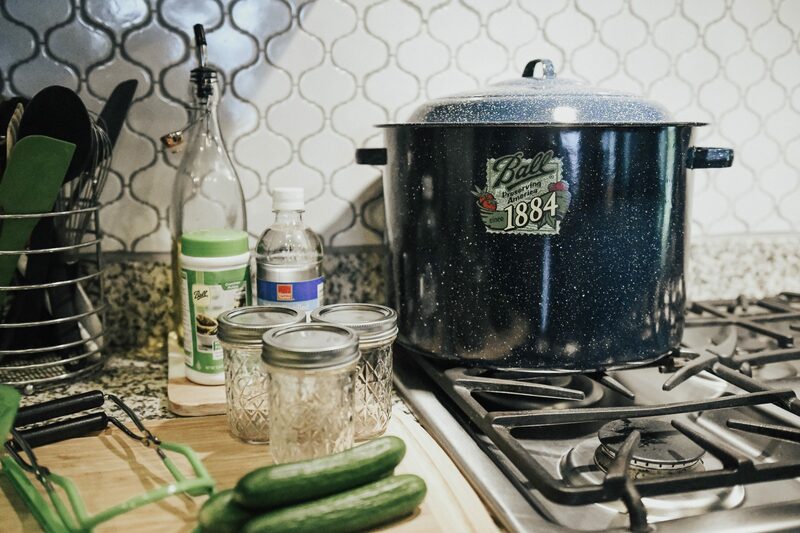 Canning the pickles was so easy and fun, it reminded me of when I was a little girl making pickles with my Grandma! 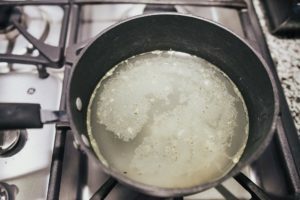 I followed the recipe exactly but didn’t add bay leaves since my Grandma didn’t have bay leaves in her recipe, and I wanted them to taste as good as they did when we made them together. You can find Ball products at Target. I love their smaller 8oz. 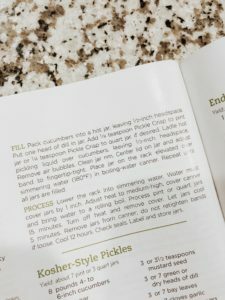 Ball® Quilted half-pint jars, which I used to can the pickles I made! You can find them at this link: HERE. 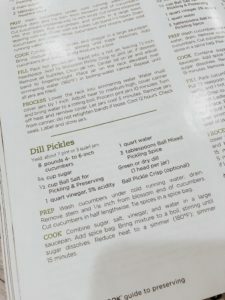 The Ball® Blue Book recipe is easy to follow and includes all the pro tips like pre-warming your jars before the hot brine is placed in the jars, and how to safely execute the canning process. The recipe calls for using the larger jars, but I love using these smaller more decorative ones. Using different jar sizes can affect the flavor of the pickle, the size shown will give you a true kick in the taste buds! I was a little apprehensive about making pickles without my Grandma, but they turned out AMAZING! She’s so proud of me! It’s a tradition I look forward to sharing with my future children and grandchildren one day. Also, I ate the whole jar in one sitting, so now tomorrow I’m making more!! Next on my list is this mixed berry jam recipe! I’ve never pickled anything before, but my mom loves pickling so I’ll have to get her to teach me her ways before I get married! This is so cute. I love that it’s a family tradition! Cool tips! Thank you for sharing the good stuff! Ooh, this sounds so yummy! Will have to try this! I really love Ball Mason jars for everything! I even use them as cups for summer cocktails! Ball Mason Jars are SO useful for so many things! They’re the best for having around whenever you need them. We love making homemade pickles too! What a fun tradition to carry on! Canning memories are things that are never forgotten! I grew up canning too! It is definitely something I want to do again when I’ve the space. Glad your pickles turned out well! “I ate the whole jar in one sitting” made me crack up. Looks delicious! This is awesome. These are wonderful memories to make and share! 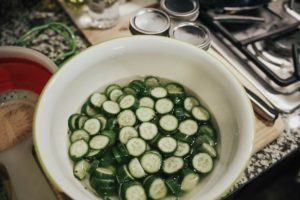 I love making homemade pickles and your pickles look extremely beautiful and delicious. 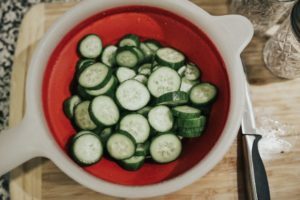 I love cucumbers in my salad, would love to try them in pickles this time. Ok.. you have convinced me. I am really going to have to try this out. 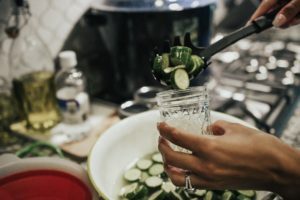 I have always wanted to do pickling and have been too nervous to do so. But this looks pretty great. They honestly are delicious! Plus we use the cucumbers from our garden! These mason jars are seriously the best. I need to do some canning of my own soon. Family traditions are so great! I’ve made things before like applesauce and strawberry jelly that I’ve canned. So fun! Pickles are my favourite. They add that X factor to any food here in India. Glad you’re carrying on the tradition. Feels tempting looking at the pickle pictures. 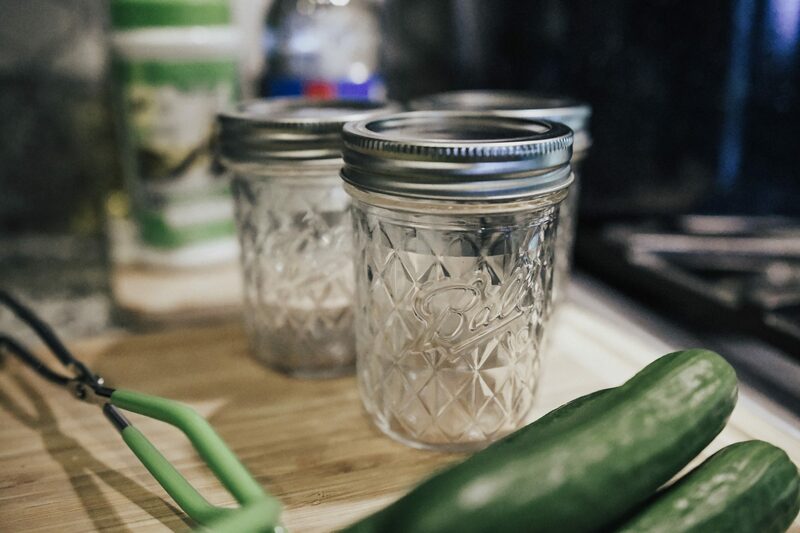 Ball Mason Jars looks really helpful in our kitchen and those homemade pickles looks really delicious. I’ve never done any pickling or preserving but I would like to try my hand at making so jam but I imagine it would get pretty messy. Well done on your pickles they sound yum!! I have never heard of Ball products until now. I would look out for them here in the UK.